Cedarwood essential oil soothes the mind and body, evokes feelings of wellness and vitality, and promotes relaxation. 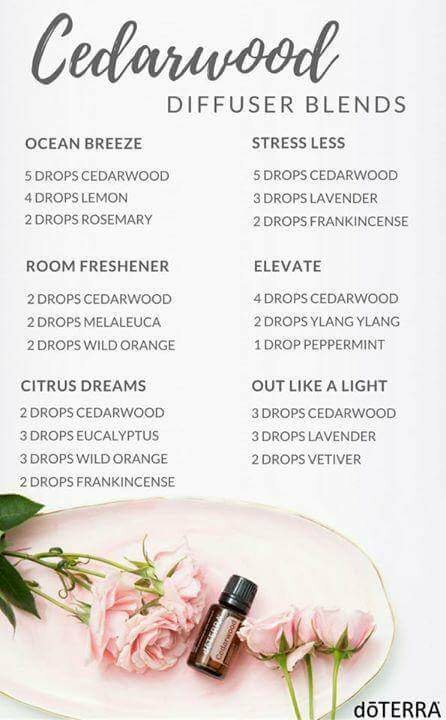 Diffuse any of these blends for a warm, comforting aroma that will create a calm and peaceful atmosphere. Get your own Cedarwood Essential Oil.